The gvSIG Desktop plugin to create forms for field data gathering with gvSIG Mobile in an easy way is now available. Through this plugin we can create custom forms for censuses, surveys, inventories, inspections …, with the different type of fields that we want (drop-down, multi-selection, date, true-false …). The main advantage of working with these forms is that we can create different sections, which cover different topics, and each of them with their customized forms. We can also send the file containing these forms to the different teams that do the field work so that everyone works with the same types of data. 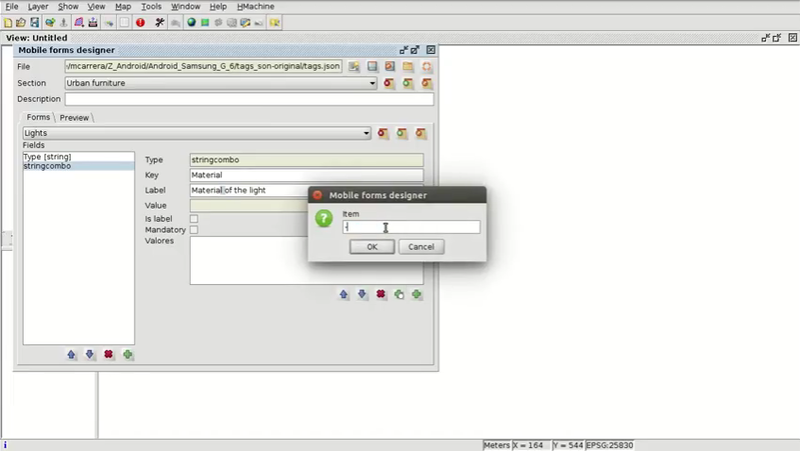 In order to use this new extension it is necessary to install it previously in gvSIG Desktop, and if we want to import the field data in gvSIG Desktop then we must also install the extension that allows us to do it. More information about how to work with gvSIG Mobile at this post. This entry was posted in english, gvSIG Desktop, gvSIG Mobile, gvSIG Suite, training and tagged Android, census, Events, forms, Inventory, Mobile, Surveys. Bookmark the permalink.